I’ve lived in several places in New England. The land has a particular feel to it. The land has deep roots, roots that dig down into the heart of the hills and mountains that make up the land. Its bones are the stones that litter the soil and make up the hight of places like Kent falls and the boulders that I’ve enjoyed hiking up to and dangling my legs over at the hight of the waterfalls. I live now in a place just as beautiful yet the polar opposite of New England. While everyone up north thinks of Florida in terms of heat and sunscreen, the land is more shaped by water than the its lack of winter temperatures. The water table is so low there are no basements. And when I kayak it is no longer in a lake, but along the runs from natural springs, fine sand and crystal clear waters instead of dark water and river beds full of stones. I do not feel the deep bones of giants here, but land that was once an ocean long ago, a land whose energy is a mingling of soil and earth and underground rivers. The land here was beautiful but alien at first. And so I endeavored to learn its rhythms. To become friends with the energies of this new place. So what does all that have to do with battlefields? Well besides spending time hiking and visiting the wild places of my new home, I also spent a lot of time learning the history of this place. And the more I learned the more I discovered there were quite a lot of battles fought on this soil I was learning to connect with. 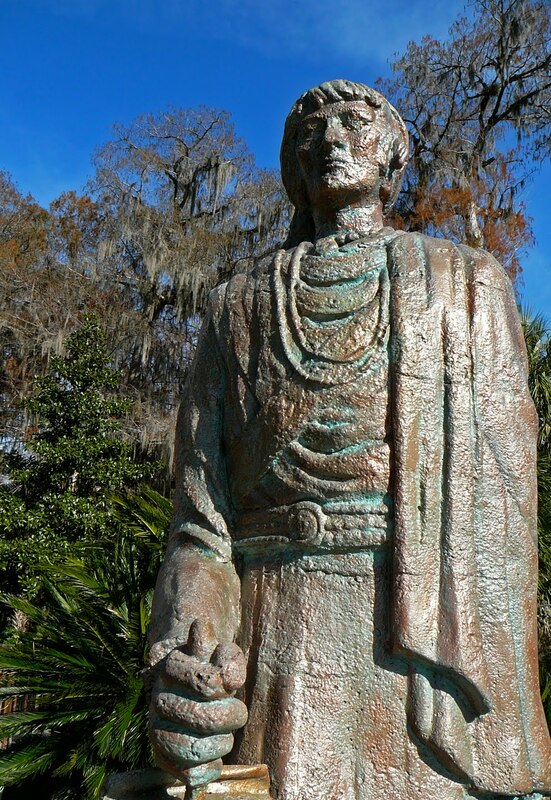 From the Seminole Wars with the native tribes to the Civil War, Florida was no stranger to battle. 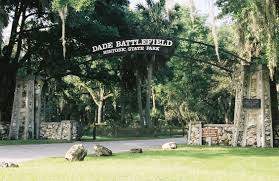 Many of the sites of these battles have been preserved as state parks or marked with monuments. 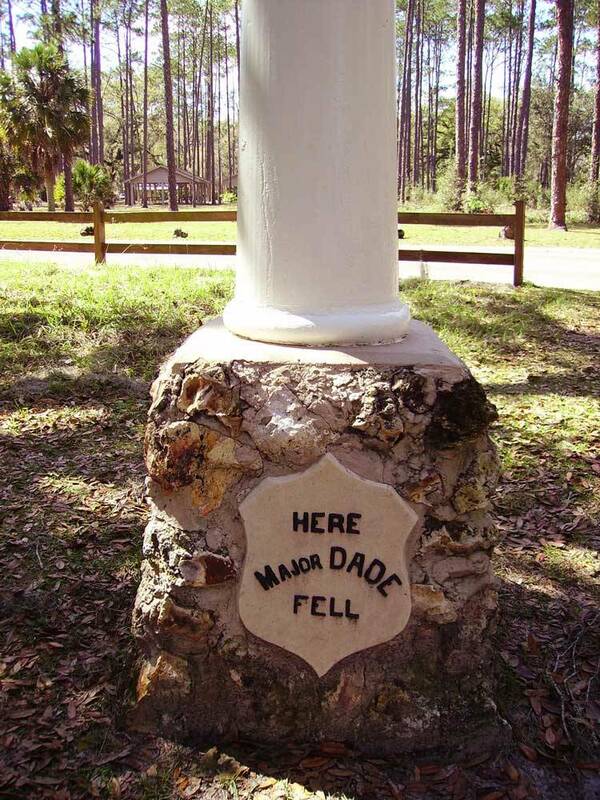 And in my research some of the odd names given to towns and other places in Florida began to make more sense. 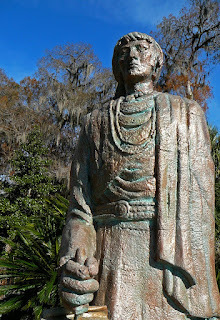 Like Osceola county, named after an Indian chief by that name who was a pivotal figure in the Seminole wars. And both myself and my other half being devoted to a war goddess, we started to get an idea. For those dedicated to the Morrigan we talk about battle a great deal. 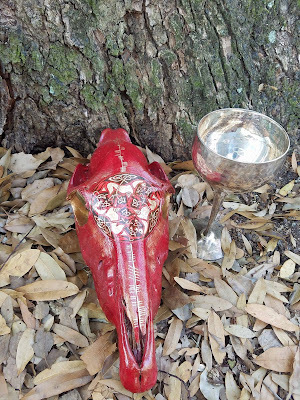 We talk about them in rituals, perhaps reenact our imaginings of the battles of myths in ritual drama, and spend time conceptualizing what warriorship means in a modern context. And I will be the first to say there are about as many opinions on what warriorship, battle and being devoted to a goddess connected to battle mean (or ought to mean) as there are Morrigan devotees. We tend to fight about it a lot. Go figure. For some its more about the battles they face in life, not a physical battlefield but one just as brutal. For others they find a connection in SCA, and others in learning practical self-defense as a devotional act. I practiced foil fencing in college, now days I practice self-defense skills at the range. All of which have been personal and meaningful acts of devotion. My altar has swords beside it, and yes bullets, both from World War II and from my own weapon, on the altar. Modern war and old, side by side. And battlefields less easier to conceptualize captured in my words written in journals that sit on the shelves below the altar detailing personal battles and growth over the years. I have said before that in an attempt to make the Morrigan more palatable we have forgotten that she is a goddess of war. We have “declawed” our war gods to make them more palatable to our modern morals and tastes. But I wonder, when we do see her as the unabashed war goddess, what do we see? Do we see only the battle itself? The anger, fear, chaos of battle? Do we only think of the height of battle, the conflict and the struggle of it? Whether it is our own battles in life or physical ones? Have we forgotten also there is more to battle than the actual act of conflict. There is a before and an after. There are the reasons that we set out for war, and there is the peace or the destruction that comes after. If the Morrigan is a goddess of battle, war, and strife in all its contexts then it is not just the battle fervor that she rules over. She rules of the peace as well. The aftermath of the battlefield, the destruction that leaves room for new things, and the peace that comes after. In mythology she both instigates battles, spurs them on, and it is the Morrigan who also announces the peace, as we see in the well known prophesy she speaks after the second battle of Moytura. The more I learned about the battles fought on the land I was become acquainted with the more I felt there was something important to be done. I decided I wanted something real, not a pretend battlefield, not a game. I wanted to honor the land and what had happened there. I also wanted to remember why we fight, and not just get caught up in the actual struggles of the battle itself. War, battle, strife, isn’t just about the crisis point. In these places that we began visiting the battles were long over. The bodies buried, the blood long ago soaked into the land. We fight for the peace that comes after. It felt important to honor these places. The people who died there. On both sides. Because I stood years and years after, on the ghosts of these battlefield in that peace. It felt important to remember. 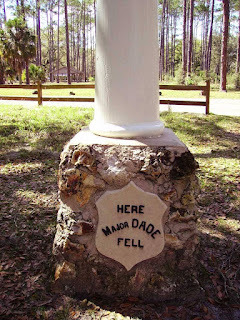 So my partner and I have been visiting these battlefields, in state parks, obscure monuments, forgotten out of the way places. We honor the battlefield. We pour offerings to the mighty dead, pour offerings to the Great Queen. We honor the battlefield, we honor the peace, and we recognize what it costs. The very first battlefield devotion we did was with a very literal piece of the battlefield. I had acquired a few 9th- 10th century arrow heads at an auction and made them into pendants. They are still sharp even after all this time. And so I made offerings, spoke our prayer over them, these literal representations of the battlefield. Our other battlefield devotionals will continue as we travel to what remains of the battlefields in our corner of the world. More to come on these devotional workings and our travels to come. The following comes in part from the Morrigan’s Peace Prophesy with our own words for honoring the dead and the battlefield. Great Queen may we remember why we sharpen our swords. Great Queen, Honored dead, accept our offerings.